Jam always reminds me of childhood, not mine in particular but just of being a kid and having jam sandwiches or those butterfly cakes with jam and cream in them. 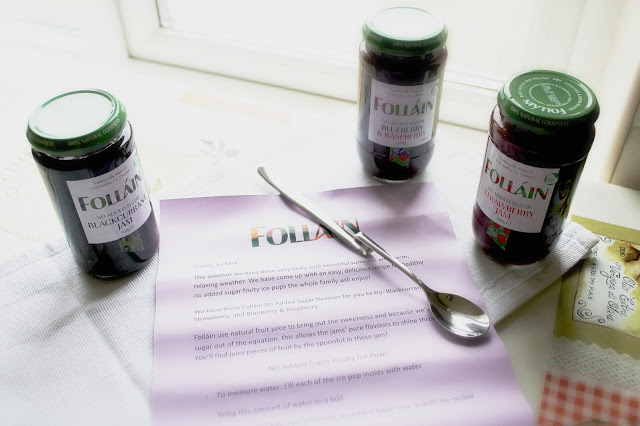 A treat if you will so I was only delighted to recieve this pretty little hamper in the post from Folláin, any excuse to make some fresh scones (or for the mother to make fresh scones so I could eat them!). 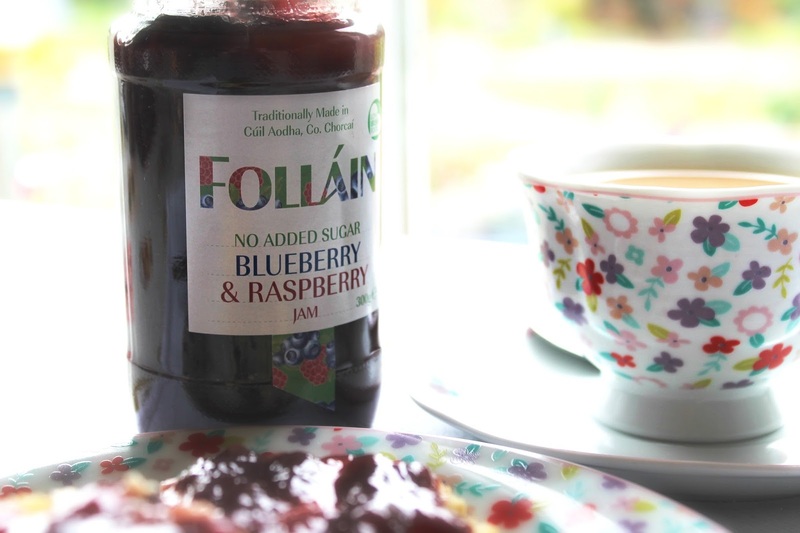 Folláin is an Irish company based in Ballyvourney, Co Cork , my home county and have been producing delicious jams, relishes, sauces, marmalades etc since 1983. 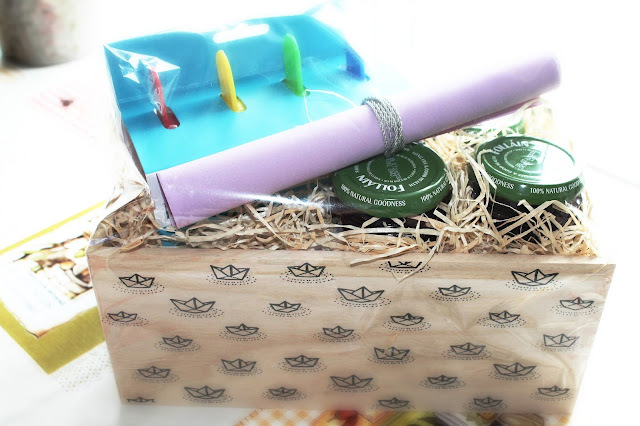 We were sent 3 different flavours of the No Added Sugar range but the Blueberry & Raspberry is my favourite, it's so delicious and not too sweet, just sweet enough. It was so smooth and spreadable, if there was a cruunchy and smooth version of jam like there is with peanut butter, then this would be the super extra smooth version, if that makes sense. 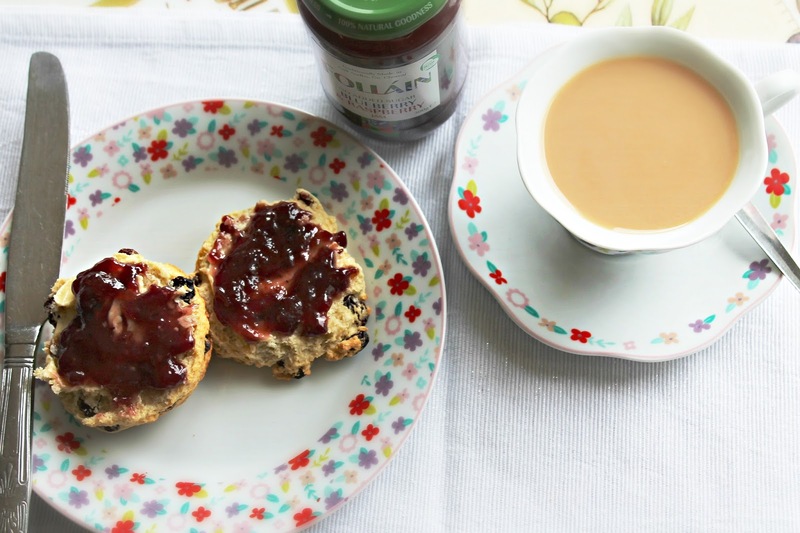 If you ever needed an excuse to whip a fresh batch of scones or bread, trying out this delicious jam is the perfect excuse to do so. You can find Folláin products in your local Tesco, Dunnes Stores, SuperValu and Super Quinn.